This entry was posted on October 28, 2012 at 10:26 am and is filed under 2012 Giller Prize, Shadow Giller winner is....	You can follow any responses to this entry through the RSS 2.0 feed. You can skip to the end and leave a response. Pinging is currently not allowed. Thanks for all the hard work Kevin. I’m not too hot on any of them but still most interested in INSIDE (although Trevor’s review made me reconsider) and 419 (mostly because I know someone who was totally cleaned out by e-mail scams). Guy: With that personal connection, I think you’ll find at least half of 419 a more than worthwhile read — you might face some of the issues that I had with other half of the story lines. Still, a story I suspect you will find to be interesting reading. Inside is turning into a “marmite” book (you love it or hate it), although you can see from our rankings that three of us were kind of in the middle on it in terms of overall evaluation. 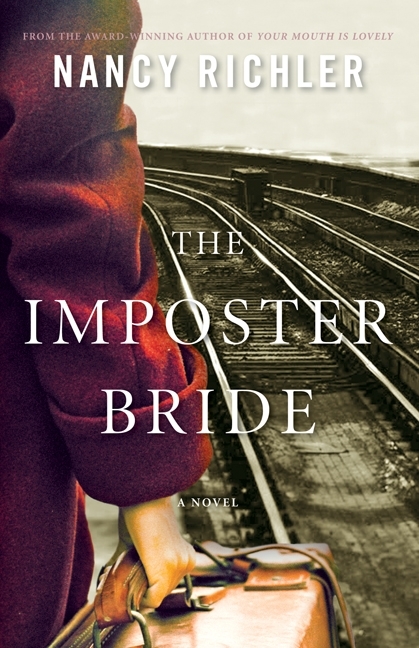 I wouldn’t try to point anyone away from it but I do think The Imposter Bride is a better book on all fronts. I continue to be impressed by the quantity and quality of writing on this blog. And projects such as the Shadow Giller are interesting and fun for readers like me. Thank you to Kevin from Canada and all the others. We have a good time with it. Thanks for your compliments. Her last novel (Your Mouth Is Lovely) has been translated into seven languages, so I would think that some international publisher will pick this one up. For some reason that I don’t understand their doesn’t seem to be an e-version available. LIsa: We are in Calgary, about 1,700 km west of Toronto, so not close to Sandy at all. We did get six inches of snow last week, but that just means the ski hills get to open a couple weeks early. *chuckle* My grasp of Canadian geography isn’t very good, clearly I need a field trip! “Big” geography — yet another Australian/Canadian similarity. A “field” trip would be an excellent idea. I’m saving up for my next trip already! Hahah…so she gets her 200 votes to spread around?! I enjoyed reading the summaries of your varied rankings: some good reading this year, if not as overwhelmingly wonderful as last year’s longlist. Yes. Given that she has agreed with the Real Jury two years in a row, it seems only right that we give her opinion more weight. You may have seen this article already, http://arts.nationalpost.com/2013/03/12/madeleine-thien-on-transparency/ about the need for transparency in prize decisions, and I found it interesting given that you pioneered the transparent decision-making process that is a feature of all the Shadow Juries I know of. I did see that article and thought that she had every right to be upset. Transparency is one thing but having the chief judge solely pick the short list and not acknowledge that goes well beyond a lack of transparency. I can understand why “real” prizes require some level of secrecy — fortunately those of us in the “shadow” prize world can be more open.